Join us at Jug Bay Wetlands Sanctuary for a free, hands-on, butterfly focused, citizen science training day. Participants that attend the training will get to participate in monarch tagging, the NABA Butterfly Count, butterfly habitat training, monarch life stages studies, and more! 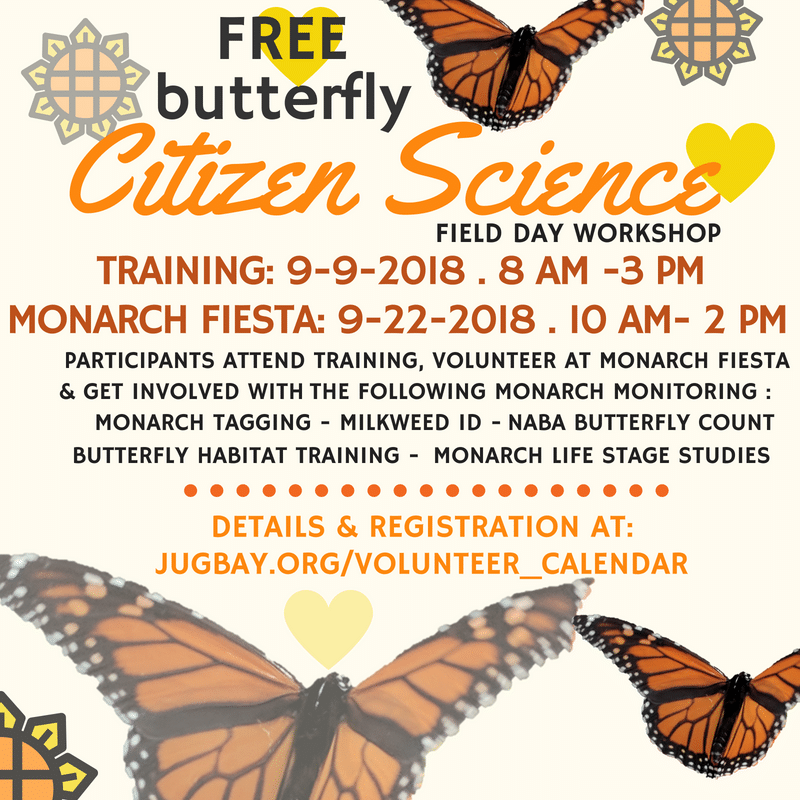 Attendees of the training are strongly encouraged to attend the Monarch Fiesta on September 22 from 10:00am to 2:00pm where they will lead a citizen science demonstration. Register here!